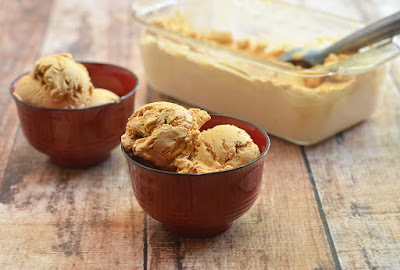 Two-ingredient dulce de leche ice cream that will rival the best commercial ice creams out there! All you need are two ingredients to make the richest, silkiest, most intense caramel ice cream ever. No churning or ice cream maker needed! 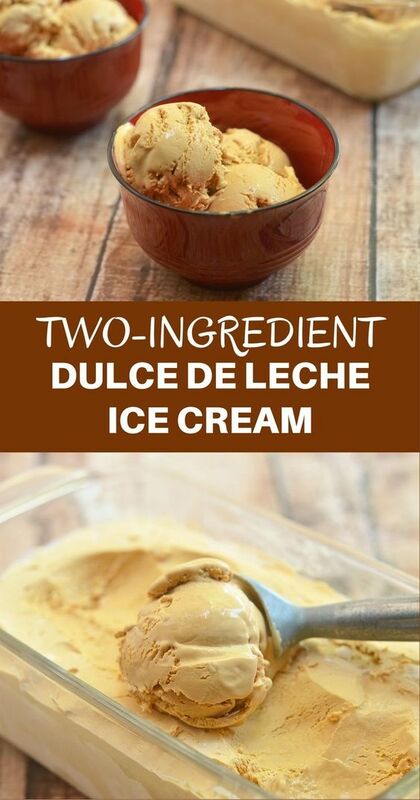 In a large bowl, combine heavy cream and dulce de leche. Using a hand mixer at low speed, beat the mixture for about 1 to 2 minutes or until mixture begins to thicken. Increase speed to medium and continue to beat for about 3 to 5 minutes or until stiff peaks form. Transfer mixture into a 9 x 5 loaf pan. Cover with plastic film, lightly pressing film on the surface of cream mixture (this is to prevent ice crystals from forming). Freeze for at least 6 hours or overnight. Serve frozen.